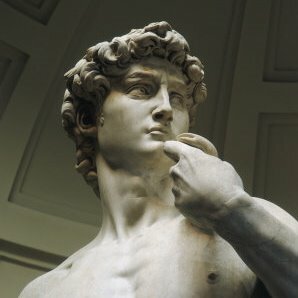 Is possible to book guided visits of the most important monuments and museums of Florence, the guides will open the doors of the Renaissance and Florentine art. You will have the opportunity to learn about Giotto’s bell tower, the history of its construction, the intrigues of the Medici family, Dante’s exile ……. and many other stories that are discovered in the streets and squares of Florence. 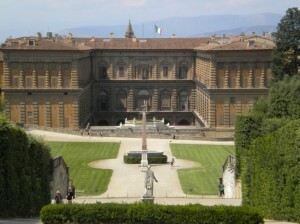 The visit to the Uffizi Gallery is an important stage of the visit of Florence. 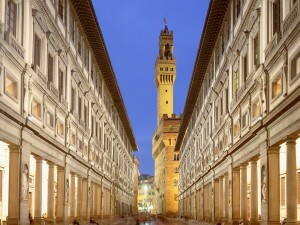 The building is located in the city center and is a wonderful example of Florentine architecture. The certified guide will tell you how did the gallery and who commissioned the building. We recommend to visitors to book tickets in advance to avoid queues. Our guides will be able to book free tickets for you. The visit many monuments and churches of Florence requires the mandatory use of earphones for groups larger than 4 people. We can create username personalized itineraries for families, students or small groups. 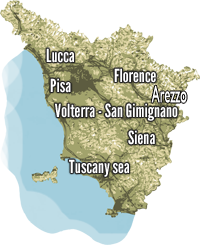 Our guides will accompany you to discover museums, craft shops and shops in Florence.